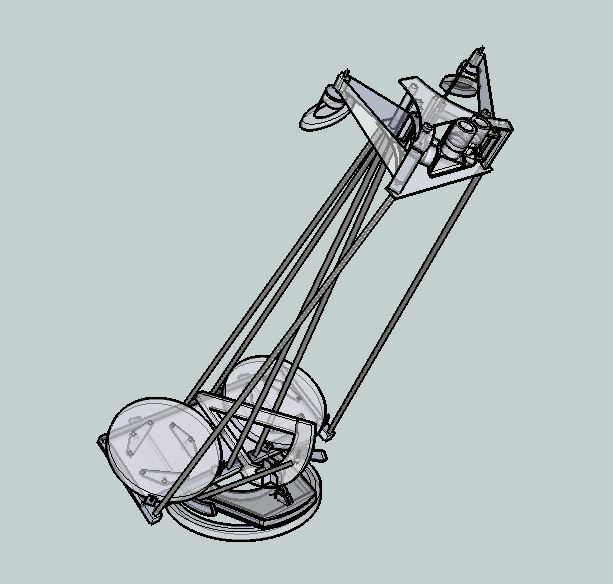 The first sketchup 3d drawing was made during the spring and summer of 2009. I tried to go for a minimalistic design with a trilateral altitude bearing and exposed mirrors. I intended to use sliders to focus and to use focusers for IPD changes. I abandoned this design because a) the mirror were to exposed, b) the focusmechnism was to complicated, c) I wanted a smaller rockerbox. I made this design in 2010. I still hadn’t decided which method I was going to use for changing IPD. 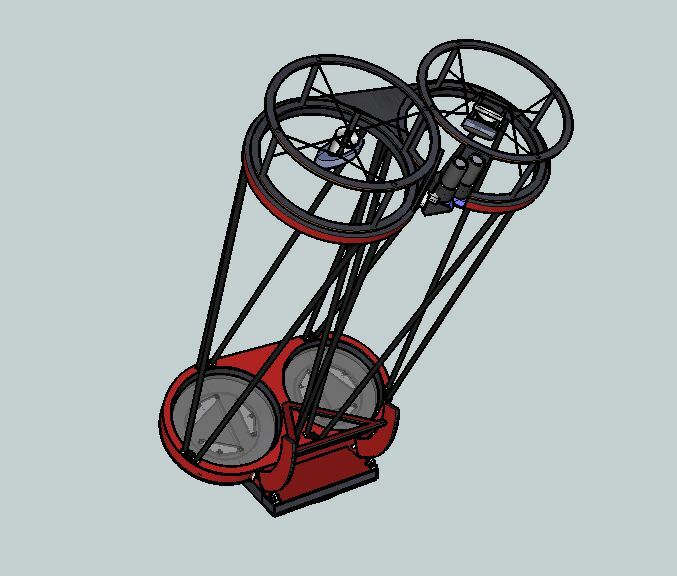 In this design I wanted to use double focusers but I was struggling to design vanes that were strong enough to handle the weight of the secondary mirrors. In October 2011 I decided that rotating tops was the best solution for changing IPD. I tried to make the secondary assembly as compact as I could but every solution I though of was too complicated and also to heavy. In the end the secondary assembly is rather traditional. This last design was still drawn in Sketchup. 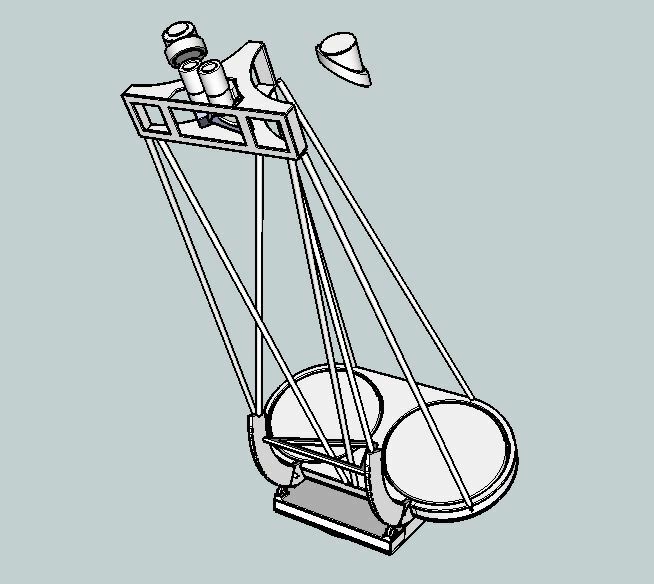 I redraw the telescope in a better CAD program to get accurate measurements.